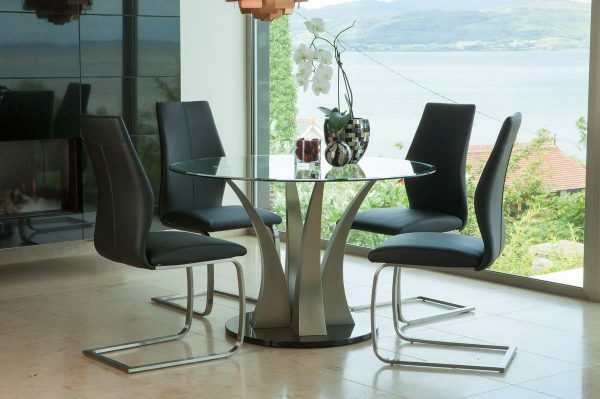 Liberty is a modern dining and occasional range with sleek, curved legs, brushed nickel bases and tempered glass tops. Combine with Irma dining chairs to complete an elegant contemporary dining set. A strong oak dining table, made from 100% European solid wood with a mid-tone finish applied. This painted furniture collection is lacquered in a soft buttermilk colour and paired with tops. The accents of handcrafted water hyacinth baskets and silver satin finished handles gives the collection a blend of contemporary and country styles.